Surely not pending at this price? When someone contacts me on one of the forums, I put a zero on the end so that it doesn't sell. PBP Han and Greedo added. Sold figures removed. A few added. Walrus Men and Admiral Ackbar's staff reduced. That Palitoy 45b Bossk looks like a Toy Toni. noted- due to lack of seal impression on the cardback? Also using the wrong figure with visible paint wear. And a bubble that Toni used. 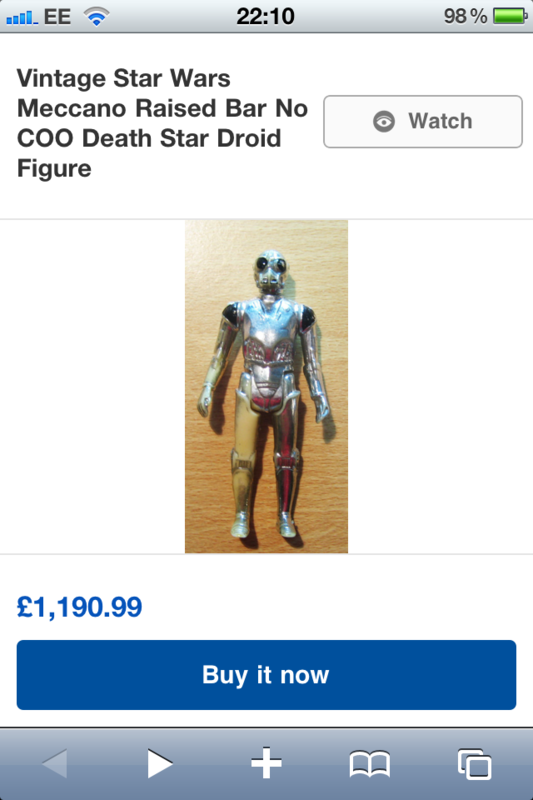 what does wonky c3po mean???? is the pbp walrusman still available with bright green head?